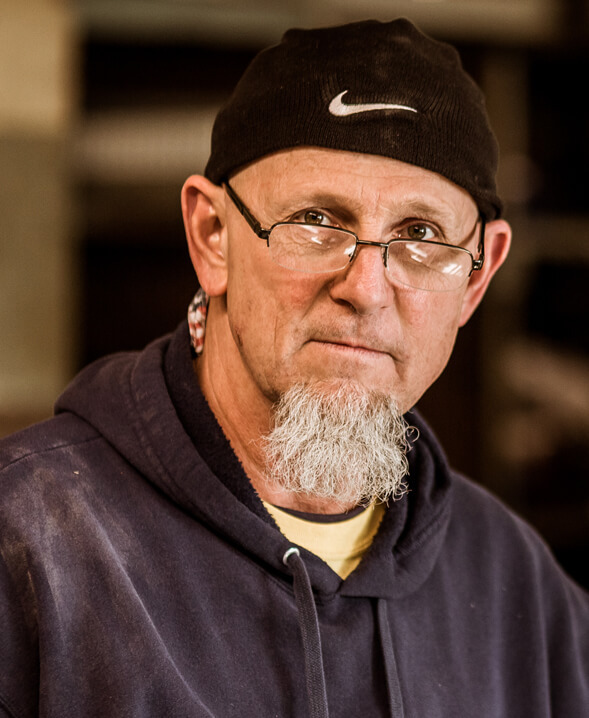 Willy Tillisch has been a marine electrician for the past 20 years. He is ABYC Certified and a true master of his craft. Willy is hands on in every new construction project making sure that all wires are properly dressed and follow ABYC code. He has corrected many boats that have come into our yard with electrical issues and made them safe and code compliment vessels. He can help you with AC/DC electrical panels, lighting, bonding issues, batteries, float switches and much more. In addition to his electrical duties Willie also works on the environmental side of the business. He is responsible keeping accurate records for reporting storm water runoff, which plays and important role in helping Huckins maintain its Clean Marina & Clean Boatyard status with the Florida Department of Environmental Protection (DEP). Prior to joining the Huckins team he served in the Navy and retired in 1997. He was born and raised in Chicago, IL and like most, moved to Florida because of the warm weather. In his spare time he enjoys RV'ing to parks and campgrounds throughout the U.S. with his family. It's important to maintain your batteries. To conserve flooded batteries maintain proper water level, clean/preserve terminals and make sure all connections are tight.